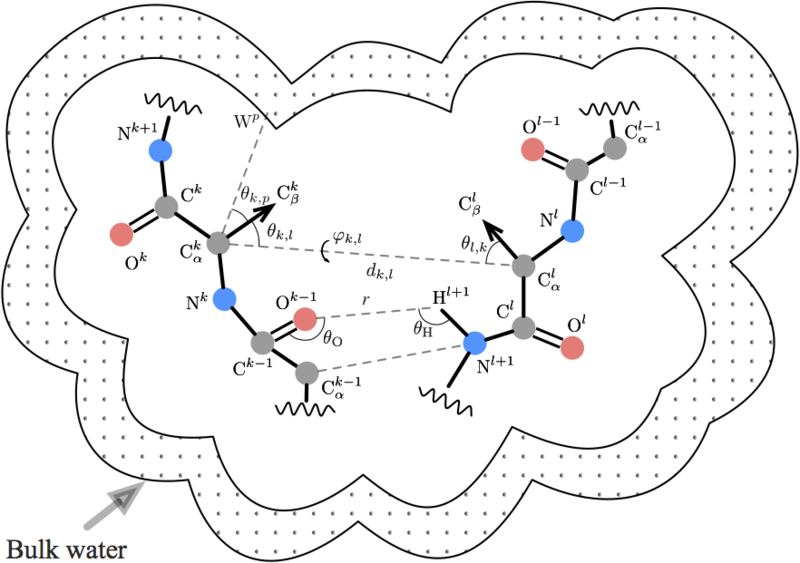 Smooth orientation-dependent scoring function (SBROD) for coarse-grained protein quality assessment uses only the conformation of the protein backbone, and hence it can be applied to scoring the coarse-grained protein models. Workflow of the SBROD method. The dotted blocks correspond to adjustable structural parameters that are to be chosen at the training stage. Four types of structural features. The workflow of SBROD consists in two stages. First, the method extracts features from each protein model in the dataset. Then, the scoring function assigns a score to each processed protein model depending on its features extracted at the first stage. Figure above schematically shows the workflow of SBROD. Here, four types of inter-atomic interactions, described in details below, are taken into account when extracting the features. 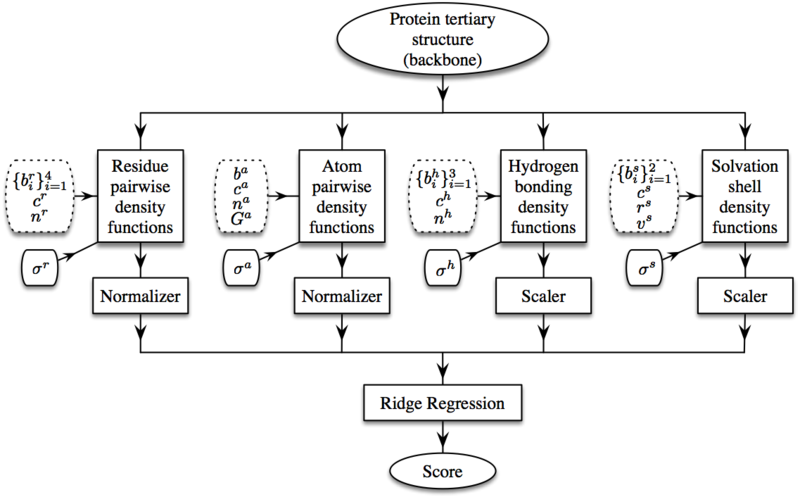 After these features have been extracted and preprocessed, a Ridge Regression model is trained on them to predict the GDT-TS of protein models. SBROD is designed for ranking of protein models. It predicts scores that are not meant to be the GDT-TS predictions (i.e., scores can be larger than 1). To normalize the scores, run SBROD with the ‘–scale’ flag. SBROD was also evaluated in CASP13 as a QA server.